The oil and gas is a very old industry, with some of the first wells ever drilled stretching back to the time of before the American Civil War. In 1859, the first US oil well was drilled in Titusville, Pennsylvania, for around $3,000 and reached a total depth (TD) of 69.5 feet. It is known as the Drake Well. That works out to an average of $43.16 per foot of well drilled. Today’s wells are orders of magnitude deeper and more costly. But on a per foot basis, costs are only up 2x to 5x those earliest cost per foot figures on a non-adjusted basis. In March 2016, the Energy Information Agency commissioned IHS to study oil and gas well costs. [A link to the 141-page study is available here.] 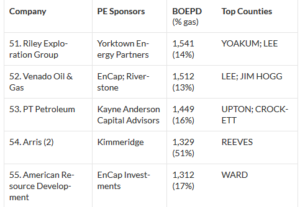 The report focuses on five onshore regions, including the Bakken, Eagle Ford, and Marcellus plays, two plays (Midland and Delaware) within the Permian basin, as well as the offshore federal Gulf of Mexico (GOM). The study found that drilling costs range from $100 to $200 per foot of total depth for onshore wells. Some modern wells in the Midland Basin of the Permian targeting the prolific Wolfcamp can have a total depth of 8,000 vertical feet (ca. 3Q16), which would work out to around $1.6m for drilling alone. The cost to complete a modern well, however, is much higher. The IHS study found that by 2018, onshore wells will cost about between $400 to $600 per foot of lateral well completed. Modern Midland Wolfcamp wells can have laterals as long as 7,300 feet. At $600 per foot, a 7,300 foot lateral would cost $4.38m to complete.